Castor oil was acclaimed the best oil for hair growth, though in theory it should mostly help with digestive system problems. Women storm the pharmacies to get castor oil for enhancement of hair growth and providing hair with gloss. What other properties has this oil? You can buy it at the pharmacy. It is sold in a small bottles as a remedy for digestive problems. Nonetheless, women buy it in order to apply it on hair and scalp. Castor oil is affordable and truly effective. Castor oil is obtained from Ricinus communis. This is well known plant that decorates many home gardens. 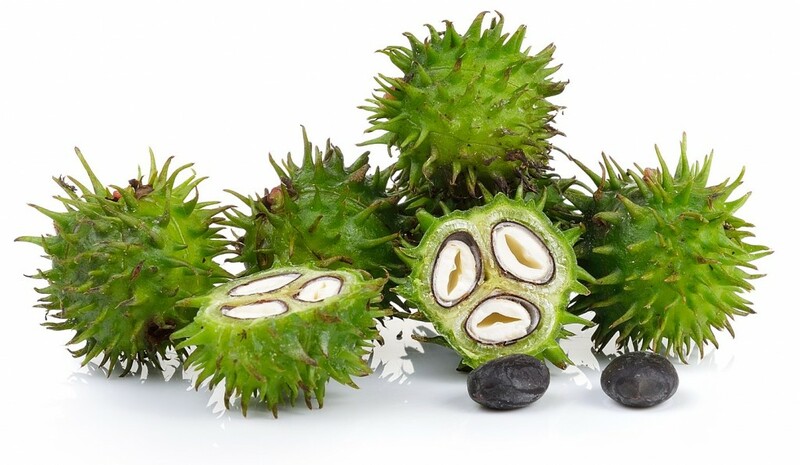 Castor oil plant seeds contain poisonous toxins, so castor oil is being heated during the oil extraction to deactivate the toxin. Only then, it is suitable for outer and inner use. What is castor oil action? Apart of its healing properties, it is worth to mention its action on skin and hair. Castor oil effectively conditions. Therefore, there can be enumerated at least few precious properties of this oil, that made it the favourite of many women. Castor oil rubbed in scalp on regular basis boosts micro circulation in skin and stimulates hair growth. It activates dormant hair bulbs, which results with baby hair to appear. Castor oil cannot entirely inhibit hair loss, because it is a natural step in hair life cycle. However, it strengthens hair and limits excess hair loss due to hair bulb weakening. Natural castor oil has more than inner action. It covers hair with thin protective layer, that prevents damage. At the same time it ensures hair with gloss, smoother and softness. Castor oil use on the scalp, makes it clean. All inflammations are being eliminated as well as all the dead skin cells and the dandruff is no more a problem.